After working on the Internet for a while at McDonalds this morning I headed off to find the laundromat that I used last year that I still have money on the card. 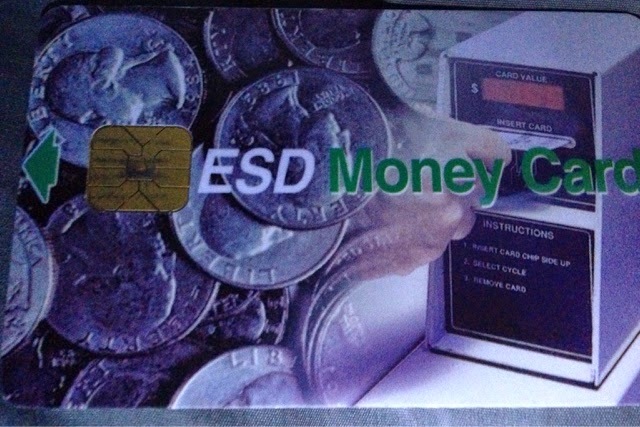 The problem is that the card does not have an address on it and it only works at that laundromat and a new card is $2.00. What I did to find the place was use the same logic I used last year to find it. 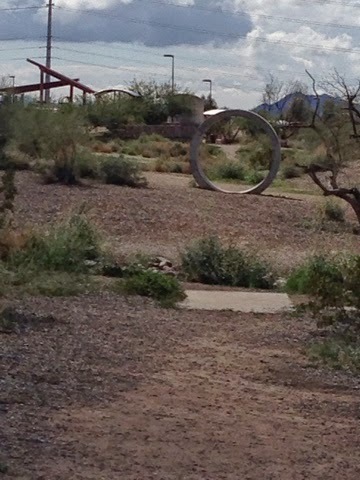 I knew it was in Chandler. I also had a good idea about where it was. I pulled up laundromats on my google app and I went to the one I thought it was by location and found it. After washing and drying the laundry it was late morning and time for Disc Golf. I have been behind the wheel of the car too much over the last week and haven't gotten the amount of exercise I want. 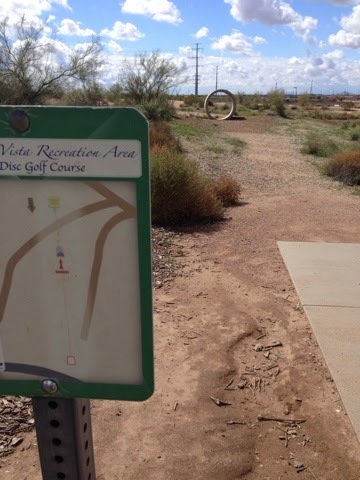 I went to this course I like in Chandler that has you throwing your disc through a culvert on two different holes. I'm at the furthest pad for distance to basket with this photo. The basket is on the other side of the culvert. 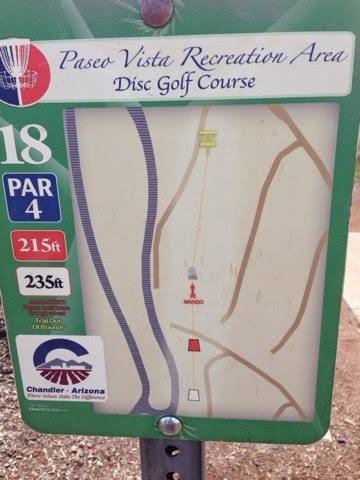 You have to throw your disc through the culvert and not around or over it. I generally lay up to the front of the culvert as every time I try to throw through it I throw past it and have to come back and then through. Here is the other hole with a culvert. The course is what I call a confidence builder for me as I play well enough for this relatively short course to make many pars and one or two birdies. Except for the culvert holes. 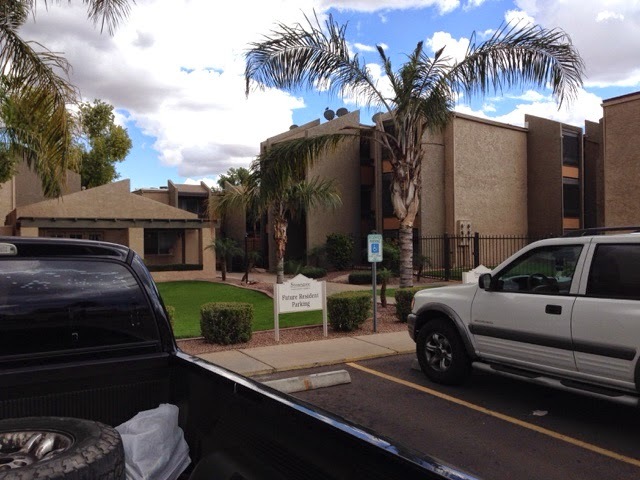 With my excercise for the day done, I drove to Mesa to check out furnished apartments you can rent by the month. I'm looking at this as a future option of having a home base for travels. The location is central enough to make it convienient. 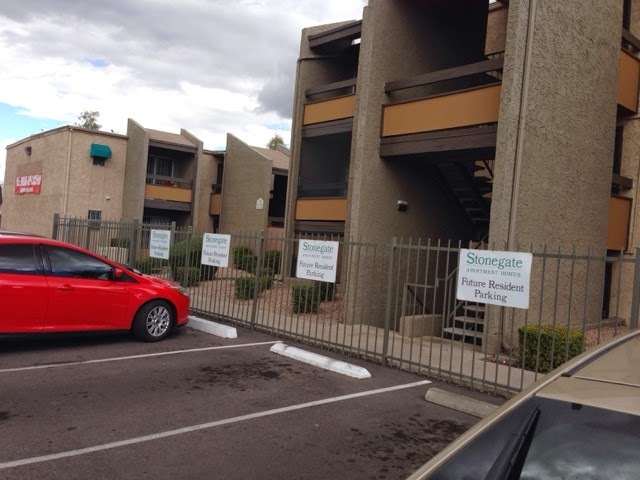 I first went to Stonegate Apartments and went to the rental office. I could tell I wasn't the first so called snowbird to have checked in to doing this. The management here is thinking of changing their policies in the future to not rent by the month as many apartments sit idle in the summer this way. Right now they are renting a studio apartment for a minimum of 4 months for between $664 and $724 per month. All units are the same but nicer appliances go for a higher rental amount. Costs are included except for electricity that you have to pay the utility direct. You must also carry rental insurance. WIFI is Free. 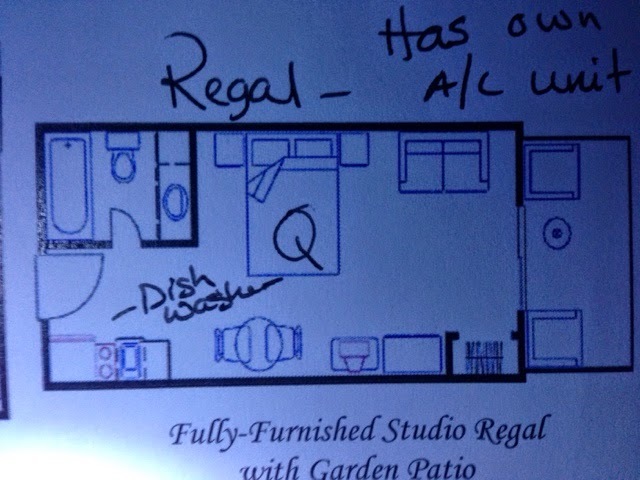 And some units have washer and dryer. The have washer and dryers available if not included. I assume you pay separate for cable. You need to apply 30 to 40 days in advance to see what is available and they can do a credit check. If the have something then you put down a $100 deposit that will be deducted from your $300 security fee $25 admin fee and first month's rent due upfront. It seemed very nice with pool and fitness center as well. 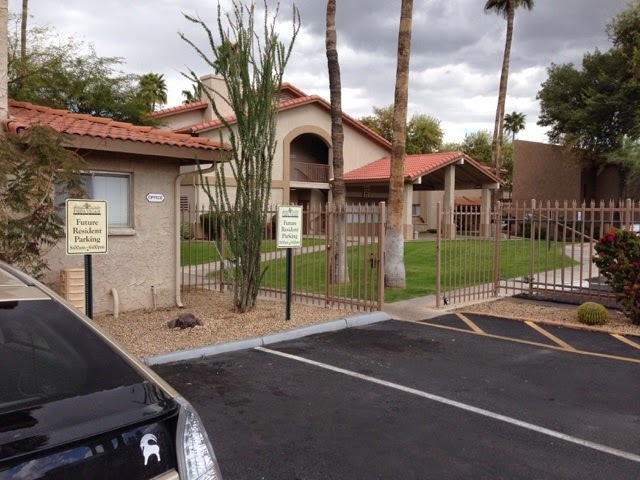 While at Stonegate the rental agent suggested I check out their sister rental apartments just around the corner called Fiesta Village. Fiesta Village also looked nice and I met with their rental agent. Fiesta Village has similar policies but electricity is included in their pricing. It includes free WIFI. There is No cable TV included you do get TV via antenna. Units are wired for cable but you would pay separately. heat and cooling for the unit. For $749. 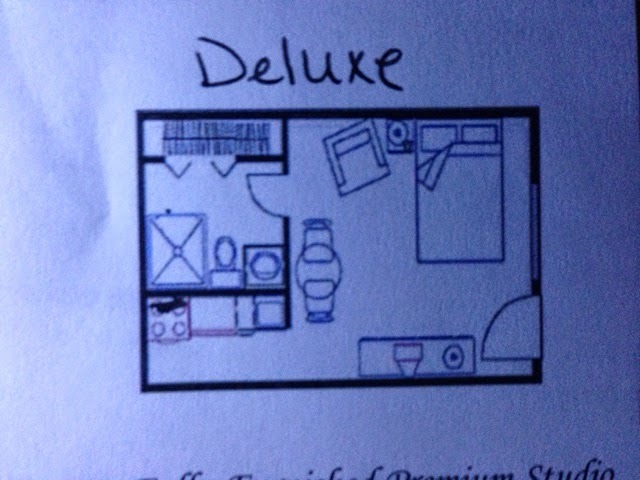 In comparison I would like a unit with a balcony. For Fiesta Village only first floor apartments have the balcony. 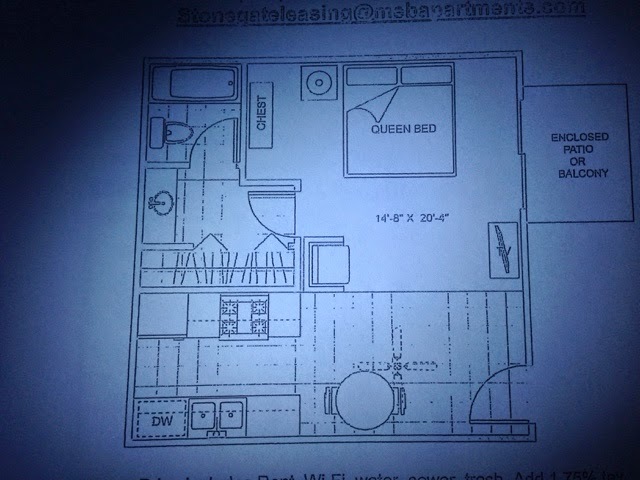 I think the Stonegate apartments are a little bigger and all have balconies but price is higher especially with electricity costs and they require 4 months rental. Fiesta Village apartments are a bit smaller but only have to rent for 3 months. I was thinking of stealthing in the Phoenix area again tonight but the clouds came in and it started to rain. 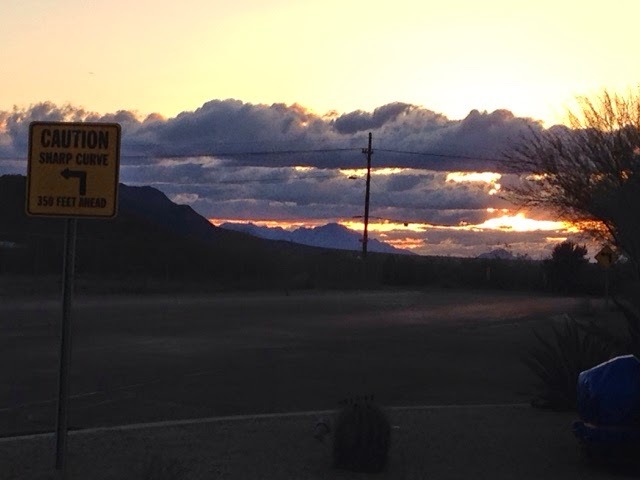 My decision was to head down I10 to go back to Tucson to meet up with friends there. 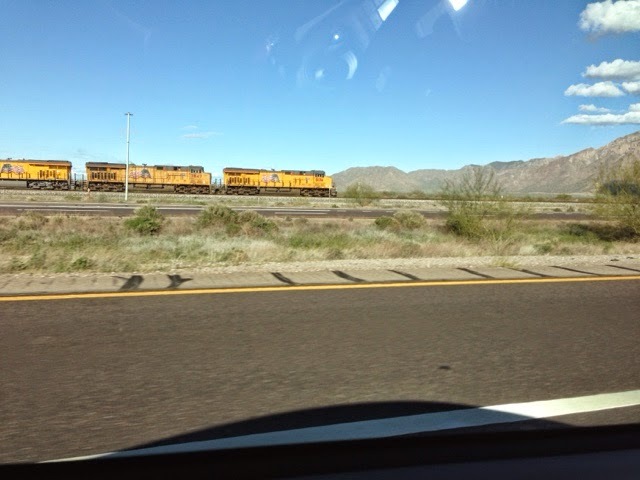 I will go back to Phoenix in a week or so to hopefully pick up a preseason baseball game of one of the teams in the Cactus League. I stopped for a shower along the way and for some reason I got it free. Another stop at McDonalds for a drink and podcasts and walked in to Food City for something for dinner. Then I met up with my friends at sunset. 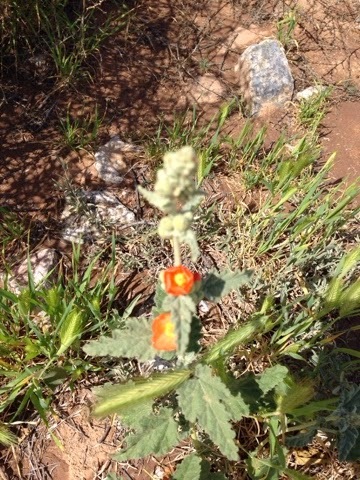 Here is a wildflower that was at the disc golf course. Is that a goat sticker on the back of your Prius in the Fiesta Village picture?